Dog Lover's Third Thursday Wine Tasting with a Twist. Fur babies welcome. Your pets deserve a good wine tasting too! *Wine Tastings are free with a store purchase or a $5 donation to go towards Pet Charities per person. Thanks for help keeping these events free. Dog Lover's Third Thursday Wine Tasting with a Twist. Fur babies welcome. Your pets deserve a good wine tasting too! 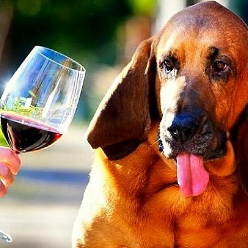 Free Artisan Wine Tasting* Every Saturday, 6pm - 8pm VIP Every First Fridays, 8pm - 10pm Dog Lovers Third Thursdays, 7pm -9pm *Wine Tastings are free with a store purchase or a $5 donation to go towards Pet Charities per person. Thanks for help keeping these events free.